Are you ready for a little tip. You’ll need to be reading my posts extra specially carefully this month. Ok, maybe not too carefully – I’d hate you to pick up a bunch of typos and grammar errors. But maybe just a bit more carefully than normal. And there’s a good reason for that. 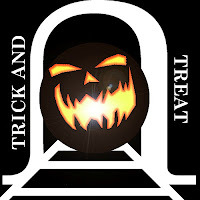 This month I’m participating in a really fun event from a group called the Genre Underground.The event is called Trick AND Treat and it involves a little bit of trickery and guesswork. Later this month, there’s going to be a bit of blog swapping happening. I’ll be posting somewhere else, while someone else will be posting here. But that’s not all the fun part of it. When we go over to each others blogs, we’re not going to be saying who we are. That’s up to you guys to figure out. And if you can correctly identify who one of these tricky blog-swappers is, you might get to win a prize. Lots of prizes: books, swag, and other fun stuff. And do you want to know the best bit of all. The persons who figures out the most correct bloggers gets to win a Grand Prize – this includes a Kindle Fire, a premium book distribution package from BookBaby, a bunch of books and lots of other stuff. So be sure to look at the GU event page, check out all the participating blogs, and get to know their writing styles. As for me, I should be easy to pick. Cheerful, friendly, or maybe just a bit grumpy and whingy, but always in a fun way. Hope you all have fun with this.